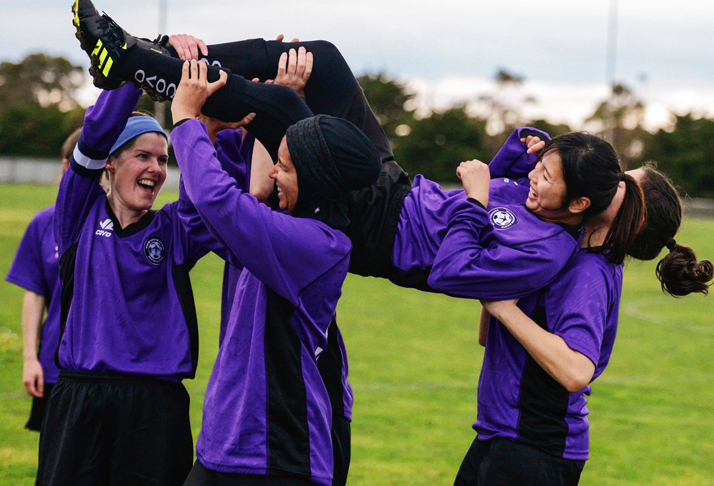 MSFC is a women’s soccer club based in West Footscray, Melbourne. They needed a new logo that represented who they are – an inclusive, friendly team with a competitive spirit. The new logo incorporates a swift in full flight against the monochromatic background of a traditional soccer ball, which creates a rounded ‘star’ effect in the negative space.